Last updated on: November 23, 2014 (This is a work in progress). Note 1: DO NOT DO THIS! to 7-8 select organisations after researching on them. Listing: 80 NGOs, 60 Lawyers, 300 Law Firms, 21 Companies, 24 Govt. Organisations. Nearly 500 places where a law student can intern! 56. Advocate Inder Raj Saini, Jodhpur : 141-2227340, 9414042777. I, am Tabrez Alam from Lucknow and currently pursuing llb 2rd year 4 semester from Narvadeswar law collage affiliated by lucknow university, lucknow. looking for internship full time or part time in lucknow and barabanki. i would like to internship in any NGO or in any legal firm. Hi this is Sunita from Child Heart Foundation, New Delhi. I work for Child Heart Foundation which is an NGO which is built to help children with heart disease born in underprivileged families and raise funds for them. Our aim is to raise funds for the poor family unable to bear the treatment cost of their children. I am a 1st year law student at an NLU. Will I be able to secure an internship at a top tier firm in my 1st year? I want to get internship in 2nd year.. I am final year law student from Mumbai University. I want to do internship in Mumbai from the lawyers or firm which handles criminal and civil matters both and with stipend. Please help me as I m fresher. I am looking for a Legal Intern and Young Lawyer to follow our cases in Meerut Courts. Hi, I have completed 2nd year of BBA LLB from New Law College, Pune. And now I want to do internship under some good lawyer or firm in Delhi or Bangalore. Actually lawyer matters more than city. So can you help me in getting internship within few days as my college are opening in July. I am LLB 3 yr Course student,1st year student.I have interest in Criminal Litigation. Suggest me some good firms.i am student of Delhi. Also want some help in relation to Resume. I am a final year student of B.A.LL.B from kolkata & i’m interted for an intership opportunites in kolkata…can u plzzz suggest some law firm for the same. Half of them are right too! So, a good source anyway. But yes, we’ll update the list. actually i am a student of law 1st year and i want to get intern in Jaipur. so can i get some suggestion from where i should start my internship and the procedure to get in interact the the judges and advocates..
Why dont you try applying? Check their respective websites and find out their email addresses. What law firm, depends on your area of interest. So seek help of your seniors and professors at college, or check online. pls advice about your first training of NGO from where you have done and how is your experience. 2nd year llb I want to job in law firm pls help me . I am IVth Year B.A.L.L.B Student. I am searching for a online job with stipend. Will you please suggest me some job? It is a litigation chamber based in New Delhi. The internship experience is provided at: https://www.lawctopus.com/internship-experience-senior-advocate-debesh-panda-delhi/. Please note that Mr. Panda is not a Senior Advocate. you can call me Abhishek .. 9868882401 for internship and legal workshop with a respected legal firm ..
I’m BALLB. 3rd year student I’m from jiwaji university gwalior M.P. my is not provide us internship program so, how can i get information about it and i want to get experience as an intern of law forum. NOW I WANT TO GET INTERN IN THAT FIELD WHICH IS BENEFICIAL FOR ME . MAY YOU SUGGEST ME FOR THE NEXT STEP. .WHICH OF THE STEP SHOULD BE TAKEN. WOULD YOU LIKE TO GIVE ME A FEW MINUTES TO SEND ME A CURIOS MASSEGE’I AM WAITING FOR YOUR MASSEGE…..PLEASE. you can call me .. 9868882401 for internship and legal workshop with a respected legal firm ..
Iam Prabhakaran.P a Tax consultant ,Insurance advisor,Investment advisor having work experience in Accounting fields for 25 years. I am now of 47 years age.I am finishing my LLB in june17, in moot court ,Pl suggesst me any legal firm in chennai where I could learn for trial,drafting,filing etc.I am having experience in Corporate matters like income tax,sales tax and sevice tax etc. Lexolve Partners, a full service law firm having their office at #101, Tower 12, Supreme Enclave, Mayur Vihar Phase-I, New Delhi -110091 require an intern preferably from final year of 5 years/3 years LL.B course. Interested candidates may submit their resume at [email protected] latest by 26.01.2017.
i, am ramnesh verma currently pursuing bcom llb 3rd year from amity university gurgaon , looking for summer internship(may, june, july) in noida or delhi. i would like to do internship in a we settled NGO or in any legal firm. I am 51 year’s aged man, I am steel young, kinetic energitic, I have completed B. Com. from Amravati University in 1988, L. L. B. in 2001 in Amravati University, doing job from 1989 in Mumbai, Last 19 years I worked in a limited organisation as Accounts Executive. Started practise from 1st Aug., 2015 handling 138 NI cases & DV & Bail Matters of Adv. P. S. Singh, Mumbai. Can you please help me to find a suitable Law Firm to get Cr. P. C., C. P. C., Taxation knowledge? I want to do internship in Chandigarh in ngo so please suggest me where I can. Qualification- pursuing Cs- executive &diploma in eabl from nujs. Is there any internship available.? this email id is wrong, please see to it. I am a student of HNLU, Raipur( BALLB Ist year. I want to do internship in Delhi in June. Is library internship better than NGO in first year ? If it is so then when can I intern in Delhi ? and library internship in first is year is better any day. I am a law student in the ggu central university, hence I want to legal intanship so please suggest me. Administrative Staff College of India would like to engage young researchers to work on a short assignment in Maharashtra. The associate will be required to interact with court officials, judges and litigants to understand their views / opinions. Candidates with good writing skills and readiness to travel across Maharashtra may please apply with a CV to [email protected] Ideal candidate would have undertaken a post-graduate course in case management, court administration or industrial engineering. Strong academic performance, evident in exam results is a must. I need it in kolkata to give a start….which profile would be the best for me for my internship…ngo,company,firm,advocate etc. Hello,I am completed 5years law course 2005.Plz suggest me any law job.Law firm or NGOs in Pune area.I immediately need job. Totally depends on what kind of area u want to practice. However u can call me for counselling after sorting out your priorities so that I can suggest u some good places to into. Please note that the contact e-mail id of King & Partridge, Bangalore for internships is [email protected] and for jobs is [email protected]. The id [email protected] is no longer in use. Hello! Can anyone suggest an internships in a good place in Bangalore? I’m doing my 4th semester B.A.LLB. I have a back in a non-law subject, will that hinder my chances for a good internships? I’m a student of LL.B(H) – 1st yr. Could you please suggest any lawyer/organization whether it be Govt./NGO/Pvt.. Also if there is any scope for a tax lawyer in future especially after coming of GST as most of the work are done by CAs. pl get me cleared with all the issue. Preferable location for me is in Delhi. Do you know Dipti Jhawar? Contact her she is also intrested. I wanna intern in Sikkar rajasthan, please tell me. I contacted ALMT for their Delhi office, they are saying that its closed. Kindly make the changes needed. i am studying in the final year of law (3rd year in LAW OR LLB) in the Gujarat and looking for internship in reputed law firm ,organisation, Company ( as law officer), MNC company, reputed lawyer of Gujarat high court and more other firm which is located in Ahmedabad. i am very hard working,honest,sincerly, broad minded person. moreover i hve good analitical skill, computer skill,knowledge of how to taking work from other and friendly nature. sir pls suggest me best law firm, Company and MNC Company(AS LAW OFFICER) high court lawyer or organisation. its all should be located in AHMEDABAD OR GUJARAT. i can go out of my location but that firm,company, organisation should be offer me good remunration.you can also make my direct contact by email [email protected]. i am studying 2nd year BLS in government law college in mumbai, i would like to do the internship in summer holidays and also can continue further, from 3rd year onwards the timing of college is in the morning i will be able to attend full time internship after the college. I am Pratim Jhavar, a 3rd year law student (of 3 year course) from Government Law College (GLC), Mumbai very keen to intern. I am a first year law student. Should I go for a intern in the winter vacation or should I wait till summer vacation. If yes, then can you tell me about any NGO working in Navi Mumbai as I stay there. I am a 2rd year B.ALLB student from amity university and I am looking for internship opportunities. please sugest me something totally new to it just want to explore my self . Please add our Law firm ‘Deccan Global Law Firm’ based at Hyderabad for Internship. Seeking for a suitable changes for Eastern part of India OR NDLS. Lawctopus is website is doing a wonderful job by helping the ones in the field of law!! however, in lieu of the e-mail Ids of Law firms, one must confirm the same by going on the website of the concerned law firm (in the careers section) and then apply for internships/articleships/para legal or Associateship. Thank-you. My name is Anjelina , and I run a very experienced web design and development company located in Israel. I wanted to see if you are interested in partnering with our company, where we would do the back-end work while you will still deal with your clients – our rates are reasonable, certainly cheaper than you hiring in house or local programmers and graphic artists. We have extensive experience with complicated development, including wordpress CMS, e-commerce websites with management systems, IOS and Android app development, and Java based tools. Please email me at [email protected]. Can you please contact me over the mail or phone ? I am trying to apply to the Law Offices of Krishnan Venugopal Senior Advocate at the Supreme Court and the son of Senior Adv. K. K. Venugopal. He’s an expert in anti-dumping and international trade related matters. I have tried several ways of locating his email id and failed. If anyone has any contact information regarding his office it would be greatly appreciated. Check the SCBA India website. Are there any law firms for internship in Raipur (C.G) ? Poovayya and Co at Bangalore is a full service firm headed by Mr. Sajan Poovayya, a senior advocate at the Karnataka High Court with a great SC practice as well. Students can apply for an internship through [email protected]. 3rd years and above are preferred. A very good and fulfilling research experience guaranteed. 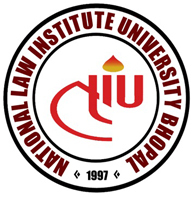 I have completed llb (3 years) from Lucknow university and am pursuing cs side by side . I want to do trining in corporate law . I wanted to know about the options in banglore. In case you are interested in interning with MNK, send your applications to [email protected]. Internship applications which are sent to [email protected]/ [email protected] (as mentioned in Sl. No. 43 above – Other firms in NCR) are not entertained by the firm. Also there is no firm called MNK Associates (Sl. No. 42 above – Other firms in NCR). You may delete it from the list. Can somebody provide me email address of HR department of KMPG? I need some contacts of Law internship Firm in Kolkata please suggest me some names of Firms & far-framed Advocates under whom some placements should be able to give our freshers of law Graduate students. I would wish to intern at Lakshmi Kumaran & Sridharan and the procedure to apply is via their internship portal. The Problem is with they enlisted few universities in which my university dose not mentioned in it. So How Would I apply there? Sad. Try again next life? Are there any law firms for internship in Lucknow ? Hey! I’m a first year student in BBALLB. I would like to know if i could get some kind of exposure in a Corporate Firm. If i can which is the best firm in Delhi? New Delhi in Jangpura. I am interning in this law firm new law firm but very helpful for all the new students. hiii … m a 4th year student pursuing B.A LL.b (H) from amity university.I do have a decent CV and I am keen to know different aspects related to media law. can somebody help me with intern-ship in this field… although intern-ship in any state is welcome but I would prefer it in Delhi or NCR. Hi, I am 4th year student, Pursuing Law from G.G.S.I.P.U, New Delhi, willing to do internship under you. i m 4th year student, pursuing law from mewar law institute vasundhra ghaziabad willing to do intership under you. I am pursuing CS and also LLB (3 years) from Lucknow university , my last semester results are awaited. i want to do internship in corporate firm. I am a first year student in 3 year LL.B Course , have just given my sem 1 exams. Can any one help me get an internship or a job in a law firm or a solicitor. you can apply in virtue resolute in pune. the lawyer name is Adv Vikrant Shinde.i have interned under him and he is a really great mentor. Citizens Foundation for Better India is a not-for-profit foundation, initiated by a group of spirited professionals who had formed Citizens for Accountable Governance (CAG). CAG has been credited for redefining campaigning in India during the General Elections earlier this year through its innovative nation-wide initiatives especially by leveraging technology in a way unknown to that domain. CFBI’s members come from top global firms such as JP Morgan, BCG, Goldman Sachs, etc., having completed their education from the finest institutions in India & abroad, such as IITs, IIMs, Harvard, Stanford, Imperial College, University of Delhi, etc. We share a common passion for creating positive social impact at the grassroots level. The Foundation aims to improve the overall quality of life by implementing sustainable solutions through collaborative actions at scale. The focus will be on evidence-backed solutions in domains of Education, Health, Livelihood, and Community Service. These domains are the bedrock of indicators like Human Development Index (HDI) and therefore a natural choice for our operations. Managing CSR programs for top Corporate Groups. Projects include developing Model Villages, Community Kitchen, etc. We are looking for interns(from India or abroad) who can joins us for short duration(1-3 months) and work with our team on our ongoing projects. We want to start our batches on 15th of each month, henceforth. Candidates can apply at [email protected] with their resume and one page SOP. I am 4th year law student (5year course ) from lorda college in mumbai . it would be my honour to work with CAG . but trouble is reside in mumbai , it possible to me to get recruited?? Not if you have such a bad English..
Hi Jismin, please search for ‘Kerala’ on the search box at the right hand side of Lawctopus. I am sure you’ll find some options. Could you plz tell me, wdr my Internship Experience @AMSS kolkata was posted in Lawctopus or not?? I found in general google search that my internship experience at kolkata office was posted on 12th November. But in the lawctopus website i am not finding any post related to this… Plz let me know! Hi, we’ve made it ‘private’ because of some editorial and formatting issues. We might have accidentally published it on the Nov 12th and then put it in private. Don’t worry, it will be up soon! Thanks for writing and do keep writing! Thanks!! I hope, my Internship experience @ AMSS(Kolkata) will get posted soon in Lawctopus website. I am an MBA,LLB(final sem),CS(final) student residing in Hyderabad..i would like to know about law firms,NGO’s,legal practitioners or any institutes offering internship in Hyderabad. Hi Usha, we’ve updated the NGOs and the Lawyers’ list and it contains details of some Hyderabad based organisations/lawyers. Please do check it out. Hi Aalisha, it will be great if you can share their contact details as well. Thanks in anticipation. Hi, I am a FY BMS student from S K Somaiya College, Mumbai. I would be glad if any one could provide me with opportunities and company details if any that provide internships to undergraduates. I am very enthusiastic to be a part of the corporate world. I, Adv Krinjal . S. Ahuja from K.C Law college looking for job opportunity in good Law firm at Mumbai. please any one can guide me out with any vacancy or opening in nay of the law firm or solicitor firm in mumbai. I am aditi diwakar, student of L.L.B. second year from Bhopal, Madhya Pradesh. I want to be a intern under a Lawyer ;a Law Firm; an NGO; or any organization i.e. public or pvt. in Bhopal. i am student of symbiosis law school noida can anyone help me finding a running internship?? If you want a running internship, try being an athlete rather being a Lawyer. is there any ngo in nagpur for internship in the first year? Looking for the easiest part-time internship ever ? That too where you could work from home ? No CV, No Interview, No time-bound for work and a certificate in less than a week ? Umeed Initiative is looking for virtual interns to help promote their organization. The best applications get a chance to work with Umeed Initiative as long-term interns. All interested applications are welcome. Drop an email at [email protected]. i would like you to publish the organisation’s name and it’s contact details on this page of yours. it would be very grateful. i am a student of b.com (hons) . can i work with a ngo. could you please provide me some legal firm in guahati (assam) so that i can apply therein…? Please provide me the email id of Mr. Rebecca John, Senior Advocate, Delhi High Court. I am a 3rd year law student of MBA,LL.B from well known Law college. I want to do internship in Mumbai. Pls suggest me that where I can do it. Adv. Ravikesh K Sinha, Practising Advocate, Delhi High Court, Supreme Court of India, looks after matters on Mediation and Arbitration. Particularly is keen on nourishing new talents. Office at Dwarka, New Delhi. It is very unfortunate that none of the firms, lawyers even bother to reply. Despite having a decent CV, i fail to understand what is wrong. It is commendable that only Mr. Rajan Narain replies and is enthusiastic to take interns, rest all of them forget the phases that they might have also been through. Hats off to Mr. Rajan Narain. I am a 1st year law student of BA.,LL.B(hons. ).i want to do internship in Jaipur.suggest me that where I can do it. I believe being the first year an NGO internship should be best for you. In that case, nothing can be better than an internship at PUCL Jaipur. The contact has been provided in the list. I have completed my B.A.LLB( 5 yrs itegrated course ) in may 2014now m looking for a good job or intrnship in a NGO can you please suggest me or mail me good ngo name for job. I’ll be very thankful. Another very good place to intern in Calcutta is Victor Moses & Co. especially for those who have an interest in Dispute Resolution. I have appeared for CBSE Plus two exam under commerce stream. I am looking for some internship, matching to my profile. I will appreciate if you can kindly let me know, if anything in Delhi or NCR. I want to know about the internships available in Jaipur for 1st year students of 5-Year Integrated Law School. I suggest you do it with PUCL Jaipur. plz send me the info of NGO’s providing intership for 1st yr students of 5 yrs llb program…. I am a law student. I want to know how to apply for internship under Ram Jethmalani, Senior Advocate, Supreme Court. Please tell me the procedure or link through which I can apply. I am 3rd year student of B.A.LL.B ( 5 YEARS COURSE ) looking for internship in any law firms in Kolkata. Kindly give me some contact details as early as possible. Is T.S.A legal a law firm or a LPO? i tried researching on it, but couldn’t get any clue. provide internships for 1st year law students….? I am Hriday N. Joshi, completed LL.B. course from Bhopal University, Bhopal and now applied for registration to Bar council of M.P. for practicing as Advocate after retired from Govt. services on 31/12/2013 as an class one officer, looking legal matters. My qualification is PGDM (Pers.Mgt. ), M.Com.LL.B. I am Prem Singh Chauhan, student of L.L.B. First year from Bhopal, Madhya Pradesh. I want to be a intern under a Lawyer ;a Law Firm; an NGO; or any organization i.e. public or pvt. in Bhopal. Kindly suggest me regarding this on my email id [email protected]. I have just completed my ll.b 3 years course. Now i want to join a law firm or a lawyer for further training at guwahati,assam. I m lawyer.I won’t to work in lpo or ngo’s in pune.I m practising since last 2yr’s in civil litigations.if any vacancys avilable for me,plz contact to me. m a student of BA.LLb 2nd year looking for an internship in chennai in dis winters plz suggest.. Please provide me as if u can otherwise tell me how can i get it. How the hell are you going to find a “Supreme” Court lawyer in Jaipur (Rajasthan) ? Are you serious you’ve completed your LLB? Doesn’t look like! How the hell are you going to find a “Supreme” Court lawyer at Jaipur (Rajasthan) ? Have you really passed your LLB? Doesn’t seem like! Has anybody interned at Ranjan & Company Delhi? Please share your experience!!! Being a law student of calcutta university,4th year,i m looking for an internship programe..in kolkata.. I am a final year LLB student and I want to do my first internship .. Pls suggest me the good places where i can do it with full help and support as i didnt have an experience with interning before. i am final year law student (three year course) from mumbai university. looking for the internship. suggest some contacts of law firm in mumbai only. Contact [email protected] for Advocate. I am 2nd year student of LLB (3year) . Any suggetion for internhip with lawyer specialising in TDSAT or CCI matters ? I AM DHANUJA.DOING MY FIRST SEMESTER BA.LLB IN NATIONAL UNIVERSITY FOR ADVANCED LEGAL STUDIES IN KALAMASHERY,KOCHI.I AM INTERESTED IN DOING MY INTERNSHIP IN ANY NGO….IN KERALA DURING DECEMBER.SO KINDLY CONSIDER MY REQUEST. location kindly give some contact details as early as possible. Offering Paid Internship to final year law students in Netherlands (Dutch law schools) for the month of November 2013. 3rd year BA LLB student searching for a decent law firm internship just to get a hang of how things work in corporate world please suggest. You can try for internship @chahal and Singhal law firm. It’s a law firm based in (Rohini) Delhi. It’s a new law firm and provides ther intern with a lot of work so they can get the hang of it. Can i gate the contact and other information abut the Allahabad High Court practitioner lawyers for Internship purposes? I called [email protected] to follow up on my application. The lady over the phone said they don’t offer internships. Is that the general reply firms dole out over the telephone or is that true? I am Advocate from Gujarat.I am practicing in court.since last 7 years in criminal.I would like to works with ngo, or org. or legal law firm, who is working among the poor people,prisoner, women, and etc.. I am finding a good NGO, ORG. OR LAW FIRM, like this. If possible please tell me and help me.I have a heart for serve the people. you can apply in Navjyoti India Foundation. It is an NGO started by Dr. Kiran Bedi. Its main tasks are Women Empowerment, Child Education, Adult Education, Rural Development, Urban Development etc. Can a 1st year law student work under any NGO? location kindly give some contact details. Email id of Mr. P P Rao isn’t functional. Kindly provide for a functional id. Thanks. Can u please provide the details of Senior Advocates in Bombay whom to work with..preferably a tax lawyer. Ok, I wanted to ask about the caveat that has been given in the very beginning, “Do not apply everywhere and only in 4-5 organizations”, but “4-5 organizations” never respond. So, how does one go about applying then? Then you can apply to 4-5 other organisations. In case you don’t get through the 10 now either you are aiming to high or there is something wrong with how you are approaching things. Tip: till you haven’t called up the person in charge, you haven’t really applied. I want to learn some practical knowledge about the criminal litigation. I am pursuing a 5 year course in Jaipur. Please suggest me any lawyer or firm where I can learn that…. The reason being, the information provided in this website is being used by other websites and is thus going into wrong hands. I, personally have received some ‘not so decent’ emails!! 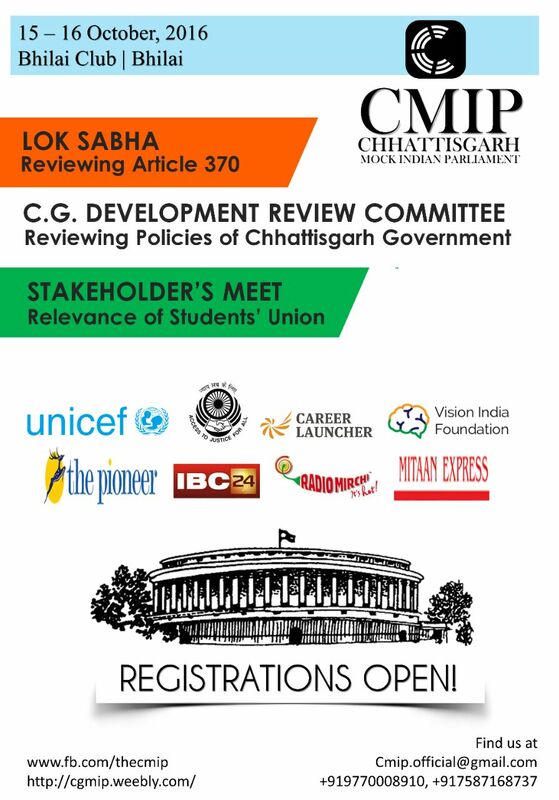 I request all the students to please submit your cvs to the website itself. Madhav Khurana, Trial Courts and High Court, Delhi , Criminal Litigation. SIDDANKI RAJESHWAR, ADV, NZB, A.P. Vodafone, Delhi: [email protected], this email id is not working . please replace with the correct one. I have completed my Bls. now in 1st year Llb of Mumbai university. I want to do internship. can any one suggest? I want to do an internship in delhi/noida region so plz Kindly suggest the best law firm in this regard. SKR & Assiciates, a Kolkata based litigation law firm handling Corporate and Arbitration matters for various NBFC institutions looking for students who are willing to join. I want to do an internship in Bhopal. Kindly suggest the best law firm in this regard. Hi, am 2nd yr law student can i know the best law firms where i can intern in hyderabad ?? Mrs Meera Bhatia,Senior Counsel for Union of India and Standing Counsel for Haryana Govt. Her email address is [email protected]. i am student of B.ALL.B(HONS.) 3 YEAR ,i want to do internship in Bangalore in a legal firm,pls suggest me any decent firm who take interns in winter break(december) as well………i’ll be very thankful…..
please suggest a law firm that deals with matrimonial law . i have completed my B.Com , LL.B(3 yrs ) course in 2002 and thereafter, i practised before dist.courts as well as high court. Now I am working in a pvt. nbfc as in legal dept. Can i opt for cyberlaws & IPR courses which havew added value in other co. Further, can i work for LPO seek to work in MNC. advise. I also wanted to write something similar but thought that there’s no point as it would aggravate my anger and disgust..
sometimes I feel like I shouldn’t have pursued law..
NOMOS Law research, division of IndiaFin Technologies Ltd is looking for smart and energetic internees. Eligibility – Flair for writing preferably with prior experience of writing. Just recent pass out, awaiting LLB final year results, or in final year. Unfortunately 98% of the contacts provided here don’t work. None of the firm will ever respond. At Least not in the way that our dear friends have provided (specially mailing your CV, with cover letter it never works blah blah blah …)Only two firms will reply. Dua associates and luthra & luthra. I applied 4 months prior to the date I wanted to join. I am a 4th year student with a decent CV. I have done enough moots, conferences, publication, online courses and what not. Finally I had to apply personally and clear the interview. So all those aspirants who think that you will get internship on the basis of merits I suggest you reconsider. And as far as 2nd yr and 3rd yr students are concerned don’t even bother applying for internship. I saw with my own eyes how arbitrarily they behave when they have few slots available. Only one thing works here “approach”. Rich lads are going to displace the talented students. Advocacy is the most corrupt institution and ironically I am forced to practice it. I request all the students on Lawctopus to stop posting “fake internship experiences” or at least those internship experiences which they have acquired through their so called “mamaji and chachaji.” And since I have absolutely no problem with criticism please do post comment-Your most welcome. But this is not going to change the truth for those 80% law students. Good Good man I liked your APPROACH. Unfortunately, the harsh reality that unravel the engineering of legal internships. hey you posted this message long back like long way back. How are things now? I am a B.Com (Honours), LLB, CS Executive Programme (earlier CS Inter). I have working experience in a CA firm. Also I cleared Derivative Market & Capital Market Module of NCFM Courses. Right now I am looking for training in a law firm in Kolkata. Please advice. I am a Law Graduate with almost 25 years of corporate experience with very little Legal experience. Out of passion for Law, I gave up my job and sought BCI’s approval to resume practice recently. As a novice in the field, I wish to join a Law Firm for initiating me into the Profession. I will be immensely thankful if some leads to Law Firms in Bangalore are provided where I can join and realise my cherished desire. Hi, I am B.com honors graduate from Calcutta University, PG Diploma in Human Resource Management from Symbiosis Centre for Distance Learning, currently pursuing 3 yrs LLB from Vidyasagar University. I am in 2nd year (3rd semester). I am in search of a good law firm, lawyer, NGO or any MNC where I can do internship. Please help. Internships and placement are available to qualifying law students/young lawyers at All India Reporter (P) Ltd Law Academy & Research Centre. can a student of 3rd year intern in human rights Commision ?? I am 37 years old and i have completed LL.M in 2011.i want to do legal internship in south India.so please offer me any of such opportunities. I have just completed my 3rd year BLS/LLB (5years course). I want to do my articleship. Kindly let me know if there are any vacancies in any law firms of under any Solicitor where I can apply for the same. can anyone post the internship contact details for Pravin H. Parekh & Co., New Delhi? I have completed my BA.LLB in august 2012.I am in need of a Senior Advocate to train me in in the field of Law.If any one interested,please contact me 9711190569. I want to know about internship in Jaipur or Delhi? i am from pune,have completed my 1st year of bsl ll.b , and i’m finding places to intern in pune ? i’m looking for a research based internship in Mumbai. please give me the details. help will be really appreciated ! I have answered &awaiting my 5th yr BLS LLB 10th semester exam results. I am interested in working/interning/ assisting lawyers under a law firm in MUMBAI that will pay me stipend. Kindly reach me via my email address if there is anything of relevance to meet my need. iam student of llb 3rd year, i am searching for a law firm in dehradun.please let me know, if there is. I am graduate (year 2012) in B.A., LL.B. from Calcutta University. I have done courses in IPR and Cyber Law, as well as in the financial segment. I would want to pursue my career around my expertise in Corporate Law, including IPR and maybe Cyber Law. Please suggest companies or Law firms where I really can apply, hoping to be imbibed into their staff list. there is a vacancy in S.K RANA delhi in IPR section…. I have just finished my semester VI law examninations (3 years course) from the University if Mumbai after my Bcom. Currently seeking for an internship in Mumbai..
plz provide the address of corporate sector also. I want to know about internship in lucknow? Can i have the email ids of pepsico, coca cola, walt disney, fox studios. ill be really grateful. I want to know about internship in jaipur. can anybody share dr experience in Wadiya ghandi mumbai..Do they pay stipend??? what kinda NGO do u wana work wid ? Myself interested in practice on immigration laws. Any law firms available in chennai ? hello everyone, i am looking for an internship. Right now i am studying in delhi university with BA hons Geography (2 sem). It would be a great help if you guys suggest me some good NGO’s or any other source in which i can work as a intern. It will be better if its related to geography. Thankyou! Thank you so much for this. Great effort! Much appreciated. hey! anybody interned in maheshwari and co. Delhi based law firm? how is it? plz share your experience !! hi, i am a fourth year student residing in gurgaon, i am interested in interning at delhi during the months of june-july. my fields of interest are criminology, juvenile, research/publishing. could u please suggest some firms or organisations where i may apply asap? thank you. i am a student of llb final year so i want to internship form those center which name is given above.i leave in kolkata.so kolkata’s center please contact me.my contact no is 9333358195.
can u plz post list of online internships for law students in month of may and June 2013. I would like to know about internships in Kerala…Please do reply a reputed firm..
hey__ do you have internsip experience with biz legis? and how is it__ do you know about any internsip in kerala where we can inern as paid? I am B.L.S.L.L.B final year student from Mumbai. I am desperately searching good and reliable for long term jobs in Law Firms(Mumbai) willing to join as soon as exams are over. Please provide me as much as good and reliable Law Firms. hey, can a 1st year student of BA.LLB do internship finishing only her 1st sem…? NHRC takes students of 4th year and 5th year. they dont take students of 1st year. NHRC dont take student of 1st years. they take of 4ht and 5th year. I am in 4th yr doing B.A.LLB from New Law College Pune. I am doing BA.LLB (2nd year). Am i eligible for internship in any law firm..? Rachita Taneja – [email protected] (Online activist co-ordinator). Usha Saxena – [email protected] for North & East Zone (Delhi, NCR, Chandigarh, Kolkata). Ruth D’Costa – [email protected] for West Zone (Mumbai, Pune, rest of West India). Shiva Sharma – [email protected] for South Zone (Bangalore, Cochin, Hyderabad, rest of South India). I’m doing 2nd year llb from government law college Mumbai. Have done company secretary course and want to join legal firm for my internship if there’s any vacancy than plz do let me know. hey…. cn i apply here..
sir m a student of ballb 1st year. i want to do intrnship in summer vacation. If you guys can provide the contact details of ICICI Bank (corporate legal department), Bombay, it would be great. The ones posted on most sites are defunct. K Law is open to interns from the 4th and 5th Years of law school. Candidates may apply to (Mrs. Geetha Manickam). Applicants should specify the office (Mumbai/Bangalore) for which they are applying for. sir , m pursuing my integrated law n m in 4th year n willing to work as an intern under u . so plzz inform me if there is any vacancy for me at [email protected]. I am in 2th yr doing B.A.LLB from UPES Dehardun. I am willing to get interned in IPR FIRM as a intern or trainee . if given an opportunity can continue the same for longer period say 2 months. Please advise.and if any one can be directly contacted let me know. I am in 2th yr doing B.A.LLB from Jiwaji University. I am willing to get intern or trainee . I am in 4th yr doing B.A.LLB from Lloyd law college G.Noida. I am willing to get interned in lpo as a intern or trainee . if given an opportunity can continew the same for longer period say 2-6 months. i m a student of Lords universal college of Law ,mumbai,(BLS.2ND year lV sem) .i want to know that when wil be the next internship session in this year.when can i apply? i am looking for internship in mumbai. so plz suggest me. Altamas Rein, Advocate in new Delhi has passed away. I am a lawyer in the Supreme Court and run a law firm at New Delhi. Sir, Please let me know if you have any vacancy for junior/associate at your law firm. Where is the email ID of PEPSICO under the COMPANIES head…it was there up till yesterday? Please provide it, i need it. i would like to know how to get an internship here. i am a 3rd year law student. The contact details P.D.Himatsingka &Co.(Kolkata) is incorrect. The email address belongs to me and which has led many students to send their resume to me. Kindly correct. when will be the next session of internship this year?when can i apply?i am looking for legal internships in bangalore..can you suggest anything? She has completely forgotten how a struggling life is for a student. Hardly responds the mail. I applied to FML Kolkata mail id [email protected]. They haven’t replied yet. I guess they reply only after you send tons of mails as the mails can go unread. I hope it is the right mail id. Do they have any other mail id? Or should we mail the above id only? Hope to get a reply soon. Fox and Mandal rocks! For Ms. Geeta Luthra Senior Adv. and Please mail 3 months in advance for which period you want Internship. AZB and Khaitan id provided here is invalid. ____ is a full service Law Firm based in Bangalore, having associates in various metropolitan cities of India. The Firm is relatively new, having been founded in 1976. In this span of 38 years, the firm has earned it’s name in the Domestic including in Supreme Court. The Firm is professionally managed by ____ who has over 38 years of professional experience in Advocacy and is acknowledged in the field of Civil and Criminal litigations. Please note that we’ll not entertain advertorial comments, like this one. Odisha human rights commission also provides internship for law students. does it provide internships for first year law students?? ?